Stars sprinkled like chunky sugar across an inky, dark sky on a cold winter's night in Southold draw eyes up to a startling overhead panorama above the Custer Institute and Observatory. Far enough from the glare of New York City and with the waters of Peconic Bay helping to minimize light pollution, Custer's dark-sky viewing lets the stars put on a lovely show on clear, cloudless nights. People come from across the Island to check out the often-stunning vistas: After a Saturday evening astronomy-related lecture or program, volunteers open the observatory roof and offer night-sky views, weather permitting. They also open telescopes in several small outbuildings. "It allows you to appreciate nature, it's so clear out here," Christina Walsh of Nesconset said at one of the weekly Saturday viewing sessions. "It's great to learn more about it. As a kid, a telescope is one of the gifts you get at Christmas. Back then you didn't have the ability to do as much with it. Today you have apps like SkyView that help you learn to find things in the sky and help you get started." Custer is but one option for amateur astronomers or those who just want to enjoy the view and learn a bit about what they're seeing. Its dark-sky location makes for great views through its 10-inch Zerochromat refracting telescope, which is in the main observatory dome. Volunteers from the observatory's 200-plus members serve as staff at the weekly viewings and explain what visitors are seeing. 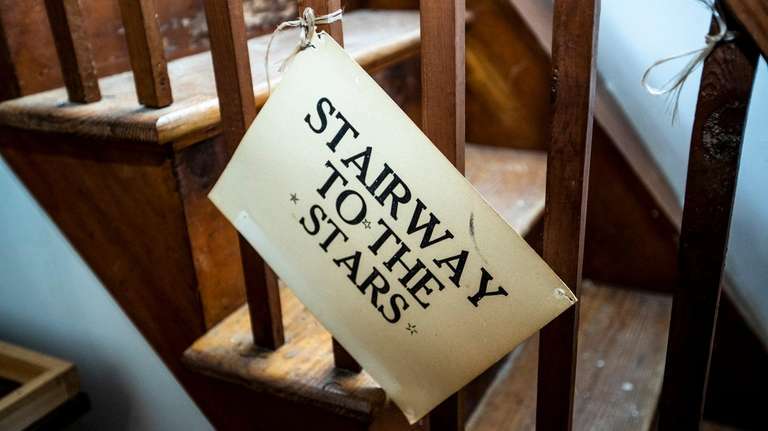 The observatory, which was established in 1927, also participates in the North Fork's Rites of Spring Music Festival, hosting one of the concerts and offering stargazing afterward. (This year’s event, "I Will Not Be Sad," with Grammy-winning flutist Tim Munro playing new and in-progress works composed by Chris Cerrone, who also handles the accompanying electronics, is June 8.) Anne Spooner is in charge of the Custer Music Project and arranges about eight concerts a year to bring more people into the observatory and help raise funds. She estimates the institute has up to 5,000 visitors a year. 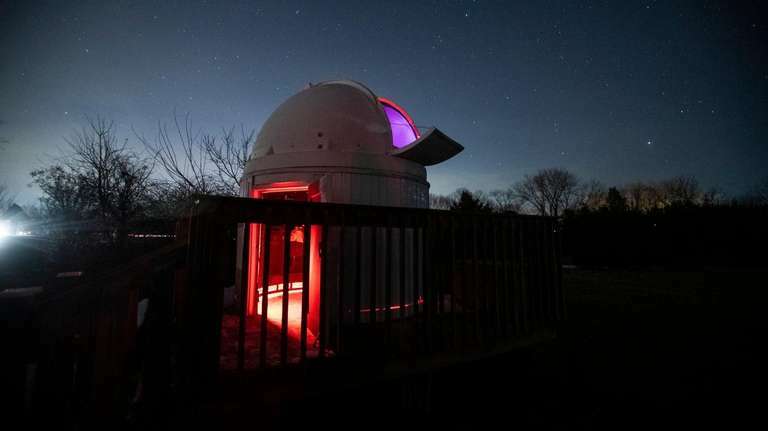 An example of the symbiosis among astronomy groups and locations on Long Island, one of Custer’s small domes behind the main observatory houses an Astronomical Society of Long Island telescope that's opened for observing when a member of the club, which is based at the Vanderbilt Museum and Planetarium in Centerport, makes the trek out to Custer. Another building includes a telescope hooked to a TV studio camera to let multiple visitors watch the color view on its screen. And yet another small dome houses the Amateur Observers' Society's telescope that a society volunteer staffs during observing evenings. The ASLI group meets weekly on Wednesdays at the Vanderbilt planetarium, offering educational sessions and outside stargazing nights when the weather cooperates. Starting April 3, on the first Wednesday of each month volunteers will be on hand at 7 p.m., an hour before the meeting begins, to answer questions from beginners and help them with equipment or technical issues. 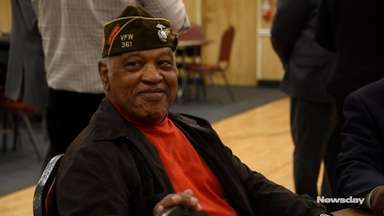 Ken Spencer, 76, of Sea Cliff, president of the 70-member ASLI, was interested in astronomy as a kid, then got back into it as an adult when his daughter wanted to learn the constellations. He laughingly calls that summer "the edge of the slippery slope" that's led to eight telescopes in his garage, grinding his own mirror for a telescope and lots of outreach efforts over the years. He finds looking at the stars deeply relaxing and absorbing, he says, and it prompts his sense of wonder. "Where did we come from? 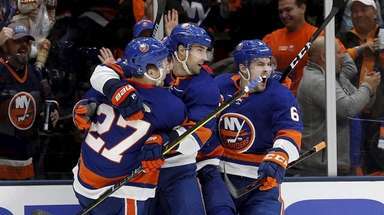 Astronomy helps answer that," Spencer says. It's a tossup for him whether he prefers studying Jupiter because of its alternating bands of color or the moon's cratered surface — "it looks like B-52s bombed it, there's one crater after another. Some people would get in a bar fight with you over which one is better." Spencer remains in awe of the age of the light rays that he's seeing coming from stars that are thought to be 12 billion years old: "You learn that with the constellation Hercules and its M13 [globular] star cluster, the light left there more than 22,000 years ago and we’re just seeing it now. That sense of wonder is a huge part of astronomy for me. “As you find these things out, they make everything so rich." That sense of learning also intrigues Elektra O'Neil, 12, of Babylon, a sixth-grader at St. Rose of Lima School in Massapequa. 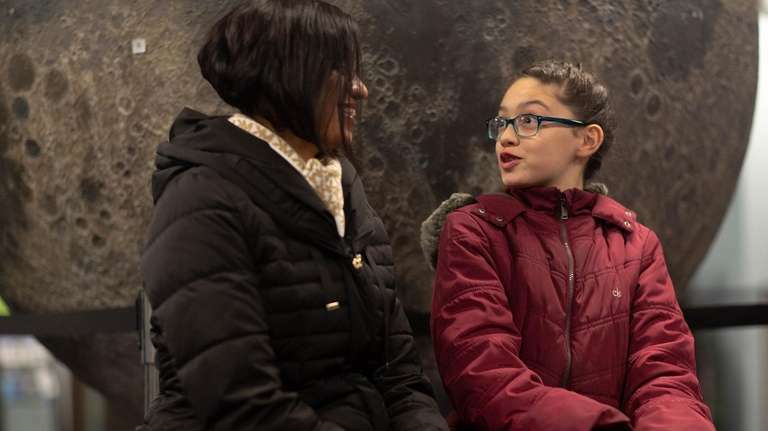 She and her mom, Danielle Perreira, of Babylon, have been attending ASLI meetings for about two years since they decided astronomy was something they could learn about together. They do a lot of their viewing with binoculars and a mini-telescope, and Elektra says she likes learning about astronomy through the lectures — particularly about exoplanet J1407b, a planet beyond our solar system dubbed a sort of super-Saturn. "It has rings, but its [ring system is] 200 times larger than Saturn's rings,” Elektra says. “It's pretty far away, almost 500 light years away. It's not a star, and it's not a regular planet. It doesn't have a sun." 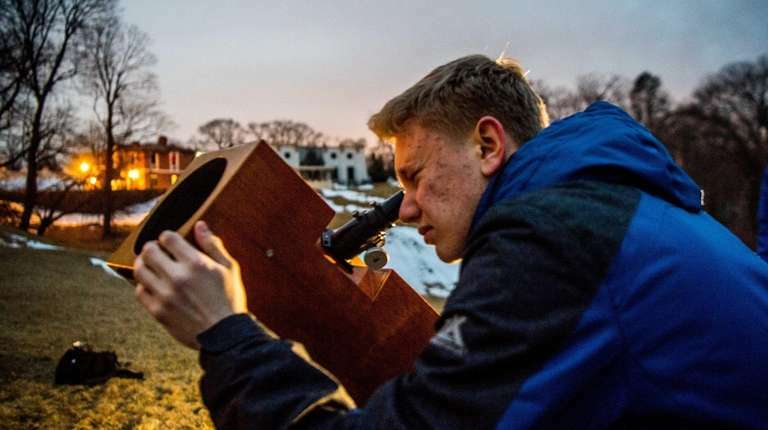 Another student, Matthew Kerner, a 10th-grader at Walt Whitman High School, began attending lectures last year on observing nights when he was working on a project researching whether there were similarities in the elemental makeup of stars hosting exoplanets — using a star analyzer and plotting results on a spectral diagram. This year he's doing more computer science-related research, but he's still attending viewing nights and using a telescope built by Spencer. 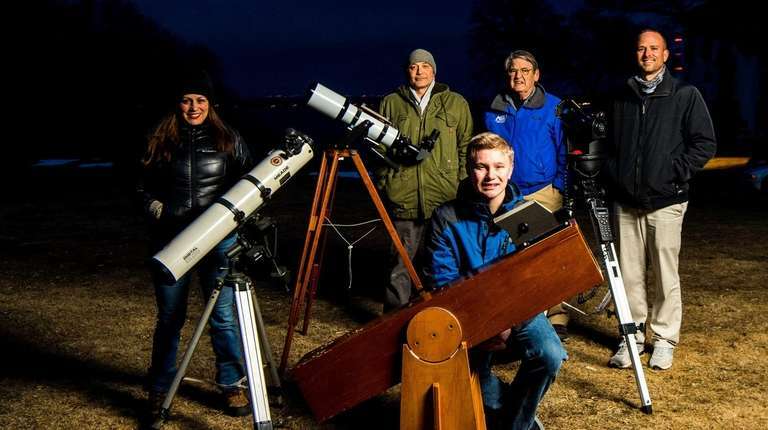 "The astronomy stuff is a lot more fun," says Kerner, 15, of Huntington Station. "By far the spectroscopy research project was the most interesting thing I've done." ASLI members help with Vanderbilt planetarium events and raise funds for cameras, eyepieces and video projects. It's a good relationship, says Dave Bush of Kings Park, the planetarium's technical and production coordinator who writes and produces the astronomy programs and is himself an ASLI member. The planetarium and its 60-foot dome were renovated in 2013. It offers fulldome films, live star talks, laser shows, concerts and special events. Each Friday evening, weather permitting, there also are observing opportunities through its 16-inch Meade Cassegrain-style telescope. Bush said the weather's been favorable, with three out of four Friday nights clear enough to offer viewing. 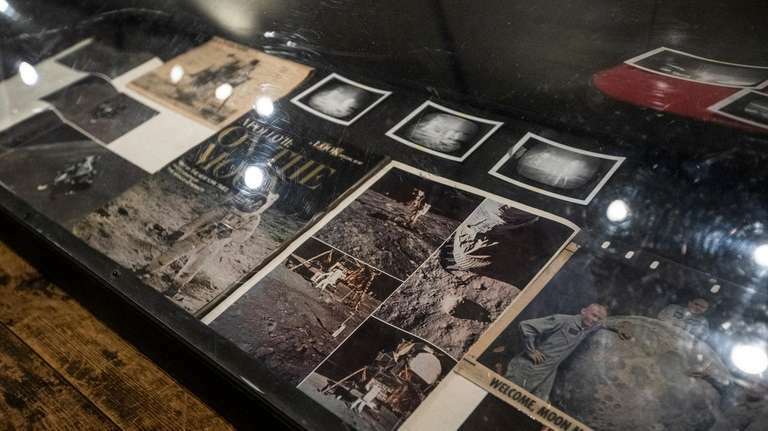 Among the other Long Island groups that also offer lectures and viewing sessions are the Amateur Observers’ Society of New York and the Montauk Observatory. The latter previously had no permanent location but now has a dome and its telescope on the grounds of The Ross School in East Hampton. Ronnie Greenstein of Manhasset Hills, who also has a house in Riverhead and does some stargazing with her home telescope, visits Custer every few months to learn from its knowledgeable volunteers. "You get to talk to people who are die-hards, who know everything about it," she said recently while attending one of Custer’s Saturday evening programs. "They go home and research it and then share it with you. "The whole experience is beautiful. I love the dome. It's so beyond anything I could do myself." To get started in astronomy, all you need do is look up at the night sky. Add binoculars for more detail, and if you're quickly enthralled by the hunt for Saturn or Jupiter, you may soon be ready for a starter telescope. There are a number of astronomy clubs and groups to help beginners get acquainted with the night sky. More experienced members are willing to answer questions and help beginners understand their telescopes and explain how to use such basic sky-viewing tools as binoculars or a planisphere (an adjustable wheel star chart that helps locate stars). They can also recommend easy-to-use apps and software and explain a series of rough hand measurements — using finger widths and your fist — to determine degrees of distance from one star to the next, or a star's height above the horizon. 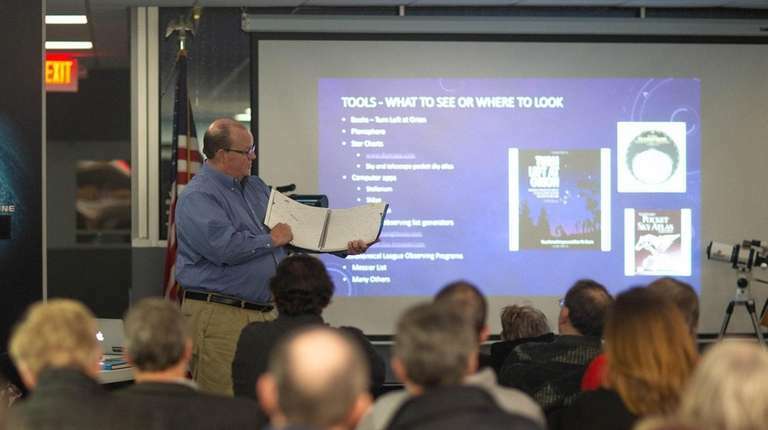 Start with what's in the sky that you recognize, says Ed Anderson, 65, of Syosset, an Astronomical Society of Long Island and Custer Institute member who's developed a series of lectures for LI astronomy groups. Remember that even though the Earth spins from west to east, our sky view moves from east to west — the sun rises in the East and sets in the West, so our view of the sky is always changing. Look for the Big Dipper — the two end stars of the bowl point to Polaris, the North Star, which is in the Little Dipper, he says. No matter where you are, you can find north if you can find Polaris. Viewing the sun, with proper filters, the moon and the planets are good first observing steps, Anderson notes. They all follow the ecliptic, an imaginary line in the sky that marks their annual path. Once you can see that line in your mind, he says, it's easy to find the planets because they'll be along that line. On cloudy nights where it's impossible to see the stars, Anderson recommends turning to the family-friendly online forum Cloudy Nights to ask questions and learn more. Binoculars are a good start to help view the stars, he says, because using them is intuitive and people often have them around the house for sports viewing or bird-watching. He gave a lecture on "Getting Started in Astronomy Using Binoculars" at Vanderbilt and is scheduled to deliver it at the Custer Institute on June 22. With summer approaching and more people heading outside to look at the night sky, Anderson recommends learning to find the Summer Triangle, which is built around three bright stars in three different constellations — Vega in Lyra at the top right, Altair at the bottom in Aquila, and Deneb on the top left in Cygnus. Look for the brightest light in the eastern sky at night and that will be Vega. The triangle is a favorite of his. "It's very visual," he says. Near the triangle's center is the bright star Albireo. "You can see Albireo without binoculars, but when you look through a telescope or binoculars of 15X or higher magnification you see that this white star is actually a double star — two stars, one blue and one yellow." Albireo also is part of yet another star grouping, the Northern Cross, which lies partially inside the Summer Triangle. What you can see in the night sky depends on how much light there is around your viewing area, he notes. "When I look at the Andromeda galaxy from my house with binoculars or an 8-inch telescope, I only see a hint of its bright, center core — and Andromeda is as wide as six moons!” he says. “If I take my telescope to the Vanderbilt [planetarium grounds], now it looks like an oval plus wisps on the ends. Then if I get to Robert Moses and look, now I can see dust lanes and some of the swirl from the spirals. And if I take my telescope and go to Montauk or Orient Point, I see even more details." After one viewing session of the globular cluster M92 in the Hercules constellation, he wrote an observing report (a log astronomers keep about what they've seen): "Imagine a white rose, fully opened. Now imagine spots of dew lining the edges of the petals, lit from behind so they seem to glow. 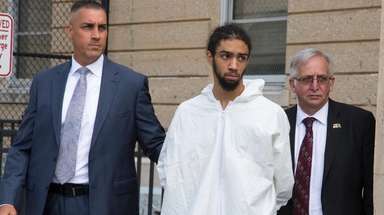 That is what it looked like to me." Some of the best dark-sky locations are at Long Island’s state parks. To take advantage, though, you’ll need a permit, which can be purchased through March 31 at the New York State Parks’ Babylon headquarters, Jones Beach, Montauk Downs, Robert Moses, Gov. 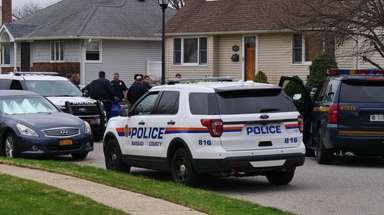 Alfred E. Smith/Sunken Meadow and Wildwood in Wading River. 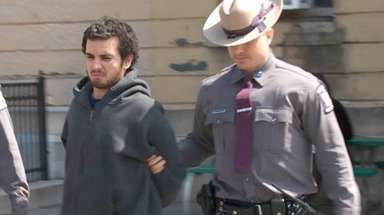 The permits are $35 for New Yorkers ($60 for out-of-staters) and require driver’s license and vehicle registration. The permits are valid through Dec. 31 at Jones Beach (West End 2 and Field 6), Hither Hills (except July and August), Montauk Point (Upper Parking Lot), Robert Moses (Field 2), Gov. Alfred E. Smith/Sunken Meadow (Fields 1 and 3) and Wildwood (Main Parking Lot). The permits go on sale again from the Tuesday after Labor Day until Dec. 31. Long Island is replete with groups, observatories and planetariums to help the curious discern the night sky. In the case of weather-dependent outdoor viewing, it’s best to call before setting out to a scheduled event. Amateur Observers’ Society of New York, aosny.org. Astronomy-themed public meeting first Sunday of the month from October to June at Hofstra University, Hempstead. Group conducts stargazing at Hofstra after meetings, various dates at the Nature Center at the West End of Jones Beach State Park (parking fee and reservation required), and Sagamore Hill National Historic Site, and clear Saturday nights at the Susan Rose Observatory in Southold on the grounds of the Custer Institute; stargazing is weather permitting. 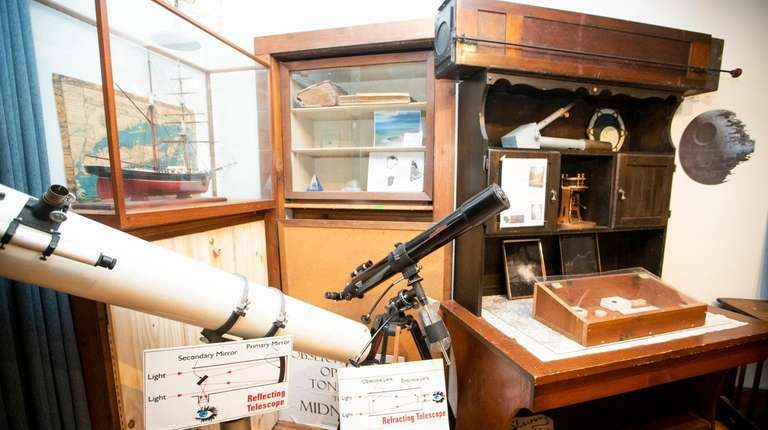 Astronomy Day in April at Cradle of Aviation Museum in Garden City. AOS yearly membership ($17 first year; $15 subsequent years) includes the Astronomical League. 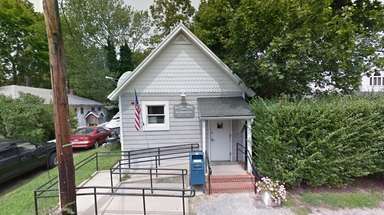 Astronomical Society of Long Island, asliclub.org. Based at the Vanderbilt planetarium in Centerport, the club meets Wednesdays at 8 p.m. Lectures are held three weeks a month and there's an observation night on one Wednesday, weather permitting. Starting April 3, at 7 p.m., on the first Wednesday of each month, beginners are urged to come with questions and gear to get one-on-one help from volunteers before the meeting. Visitors are welcome to attend meetings; membership is $40 a year, $20 for students. Custer Institute and Observatory, 1115 Main Bayview Rd., Southold; 631-765-2626 (Saturday evenings only); custerobservatory.org. Open to the public every Saturday from dusk to midnight with volunteers on hand to give tours of the facility and help visitors use telescopes; suggested donation of $5 for adults, $3 for children; also offers special events and lectures. Hofstra University Observatory, Herman A. Berliner Hall, the Chemistry and Physics Building, California Avenue and Huntington Place, Hempstead; hofstra.edu/astronomy. Stars on Sunday is open to the public from 6 to 8 p.m. once a month; check website for dates; free, but reservations required and can be made on website. Montauk Observatory, 20 Goodfriend Dr., East Hampton (on the campus of The Ross School); montaukobservatory.com. Check website for viewing dates and access, as well as lectures and special events; free but donations appreciated. Mount Stony Brook Observatory at Stony Brook University, ESS Building, 100 Nicolls Rd., Stony Brook; 631-632-9464; nwsdy.li/sunysbastro. The observatory is a 14-inch rooftop telescope used for research and teaching. 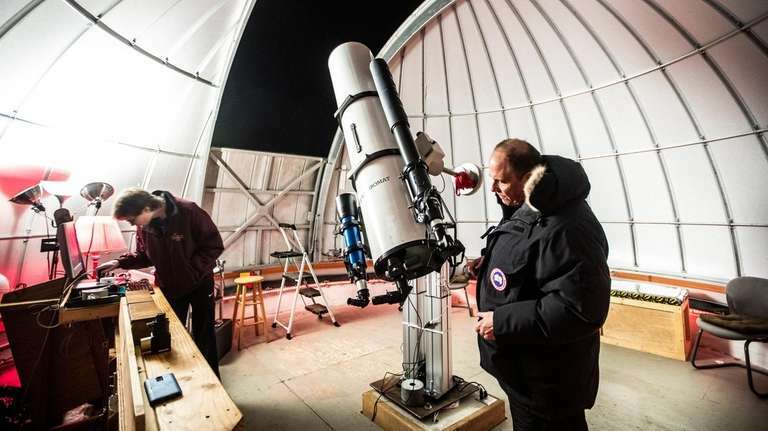 Astronomy open nights start at 7:30 every Friday with a lecture, followed by observing (weather permitting); no event the day after Thanksgiving. Programs offered September to December and February to May. Vanderbilt Museum and Planetarium, 180 Little Neck Rd., Centerport; 631-854-5579; vanderbiltmuseum.org. Daytime and evening shows; evening planetarium show tickets are $10 for adults, $9 for seniors (62 and older) and students with ID, and $8 for children 12 and younger (2 and under free); daytime admission and planetarium show tickets are $14 for adults, $13 for seniors (62 and older) and students with ID), and $11 for children 12 and younger (2 and under free); free year-round observatory viewing on Friday nights from 9 to 10 (weather permitting). Cradle of Aviation Museum, Charles Lindbergh Blvd., Garden City; 516-572-4111; cradleofaviation.org. Planetarium and dome theater shows are $9 for adults, $8 for child/senior citizen. The fee for museum and show $20 for adults, $18 for child/senior citizens; combo includes the museum and a single planetarium or dome theater show.